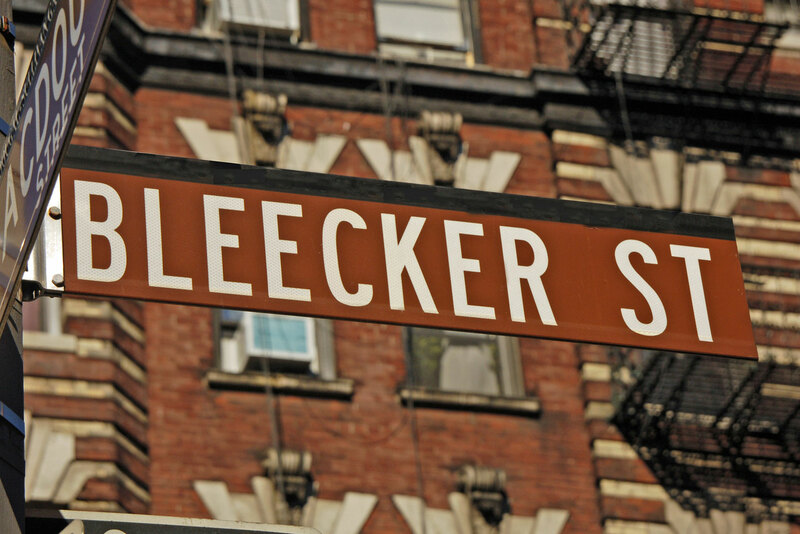 New York City's other great shopping strip, Bleecker Street. We all know 5th Avenue in New York is the centre of the shopping universe, but Quentin Long explores the Big Apple’s other shopping precinct. Okay, 5th Avenue is the most amazing strip of shopping streets in the world. The department stores and shops are A-list: Bergdorf Goodman, Saks et al, plus the boutiques; Tiffany’s flagship store, Prada, Armani, Diesel, Nike Town and every the brand under the sun. Bleecker is just north of Soho but runs roughly east-west (it heads due south from the edge of the Meatpacking District, heading eastward through Noho and Nolita before ending at the Bowery). The section north of Soho is more famous for its clubs and comedy venues that launched people like Bill Cosby, Jimi Hendrix and Bruce Springsteen (at Café Wha, which is just off Bleecker, but let’s not quibble). Amazing shoes and one-off designs; very high-end, good for a window shop. Amazing bags you just can’t get anywhere else. Hot high fashion, latest looks from Paris. Preppy relaxed menswear and accessories. Same as Jack Spade, but less sophisticated. Upmarket and really quite funky French designs from the grandson of the founder of Lacoste. One-offs that are amazing accessories and jewellery that won’t break the bank. Really cute women’s wear and so worth a look. And some known and available names in Australia: 7 for All Mankind, denim; MAC, make-up; Burberry and Burberry Brit; Jo Malone; Michael Kors; NARS; and Marc Jacobs. You have got to try a NYC pizza at some stage so try John’s on Bleecker Street or a cool bar such as Blind Tiger.